Beware Lockwood Investments is a Non-Regulated broker. It is NOT SAFE to trade. 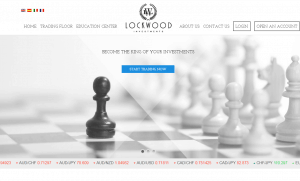 Lockwood Investments is an offshore broker that offers Forex and CFDs trade. The company is owned and operated by SolutionsCM LTD that claims to be located in Sofia, Bulgaria. However, it is not authorized to provide financial services by its local Financial Supervision Commission. Also, the website states that the main office of the company is located in the St. Vincent & The Grenadines. As we already know it is one of the popular offshore destinations for unlicensed forex brokers, so we keep on reminding our readers to stay away from such entites. We recommend you to avoid not licensed brokers and choose among the regulated ones. The most reliable regulators are the UK’s FCA, the Australian Securities and Investments Commission (ASIC) or the Cyprus Securities and Exchange Commission (CySEC). These regulators require a certain amount of capital from the brokers to guarantee the compensation of funds and a certain level of safety of clients’ money.